Question: X-rays scare me. Are x-rays necessary? Yes. x-rays are necessary. They allow me see your spinal column. Chiropractors can discover a lot about your spine’s alignment through palpation – this is when we carefully feel the area around your spine. 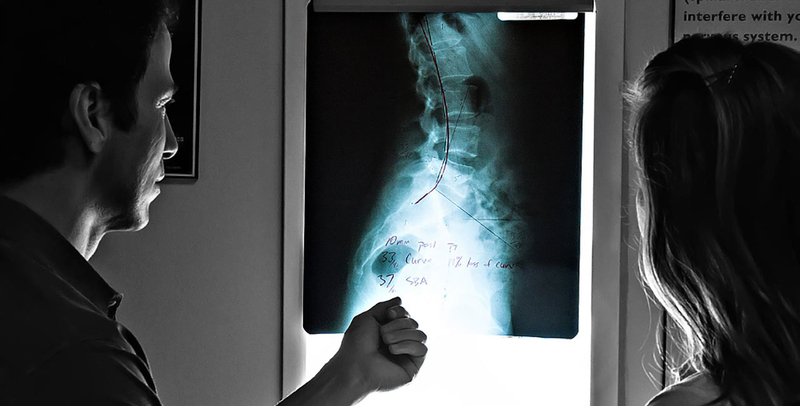 But, to really see each bone of your spinal column, x-rays are one of the best tools available. I understand the hesitation to get x-rays. If you are looking for an alternative to Western medicine, it can seem counter intuitive that an x-ray would be necessary. But, this non-invasive tool is incredibly helpful to restoring and maintaining your spine’s optimal health. Does x-ray radiation exist? Yes. Is this something you should be aware of? Yes. But keep in mind; chiropractors do not use radiation as a treatment or therapy. We only use it as a diagnostic tool. Generally, chiropractic radiology exposes patients to a lot less radiation than similar orthopedic and medical examinations. The dangers of radiation is further reduced with screens, shields, and high-speed x-ray film. One of the things to remember, and I’ll be repeating this again and again, is to ask questions. Chiropractors don’t just write prescriptions and send you out the door. We get to know you. We form relationships. We answer your questions. This is a big part of our role in your health and wellness. If you have concerns, about X-rays or anything else, ask. Yes, x-rays have gotten their bad rap. But when used properly, they’re an incredibly useful diagnostic tool. Throughout January, I’m going to continue doing an open Q&A where we’ll explore many of the uncertainties, concerns and curiosities surrounding chiropractic. No question is a bad question. If there’s something you would like answered, schedule a free consultation with our Seattle chiropractors!